Gennady Golovkin's promoter has confirmed that a planned fight with Daniel Jacobs will not take place in December as both fighters are yet to finalise a deal. 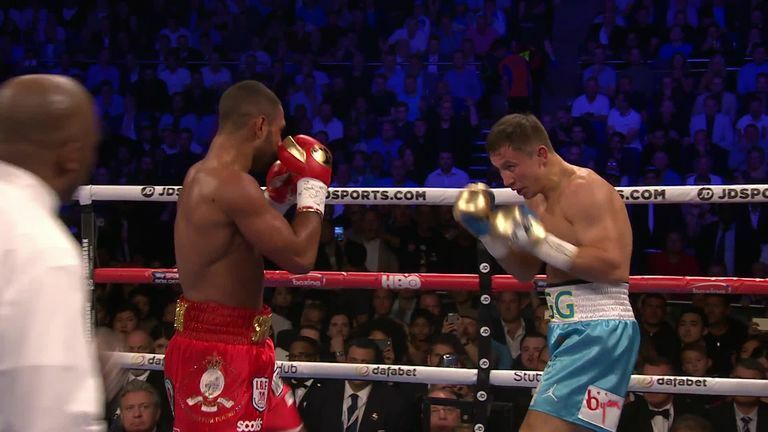 The unbeaten Kazakh halted Kell Brook in September and was expected to return to action against American middleweight rival Jacobs before the end of the year, with Madison Square Garden set to stage the fight on December 10. But Golovkin's promoter Tom Loeffler has revealed the fight date will have to be pushed back until next year as negotiations continue with Jacobs's team. Loeffler told Boxingscene.com: ''We're still negotiating with the Jacobs side and we had December 10th on hold with HBO and at Madison Square Garden, but because we don't have a deal in place it wasn't realistic to hold that date. "We're going to look to try to make a deal as soon as possible and pick a date for 2017 to stage the fight." The WBA had ordered Golovkin to put his 'super' belt on the line against 'regular' champion Jacobs and 'GGG' will be entitled to a 75-25 split of the purse. Loeffler remains hopeful the fight will still go ahead, which would see Golovkin targeting a 36th straight win against Jacobs, who has 32 wins and just a solitary defeat. "Every indication that I've gotten is that Jacobs wants the fight," said Loeffler. "We're continuing to negotiate as the fight's going to happen and we'll fulfil our WBA mandatory obligation. "That's our responsibility as a champion that has multiple titles. It's just a matter of working out the deal, to make the deal happen." You can watch Chelsea v Man Utd, plus England's tour of Bangladesh and the US Grand Prix on Sky Sports. Upgrade now and enjoy six months at half price!